If you only have limited time to work on home renovations, the last thing you want to do is get in too deep and leave things half-finished. Instead, use your weekend wisely to complete small do-it-yourself jobs that make a big difference. Here are five easy, low-cost renovation ideas that anyone can complete in a weekend to improve your property’s appeal and boost its value. All this project requires is a single trip to your local hardware store and a couple of days on the tools. First impressions last, so start by creating an enticing entry. The outside of the front door can easily be forgotten and neglected. Everyday use and exposure to the elements can see it become worse for wear. Inject some kerb appeal by making your home’s entrance “pop”. This can be done quickly and easily with a new paint job, as well as updated door hardware. There’s no need to swap interior doors completely – simply spruce them up. Wear and tear over time can see handles become difficult to operate and shabby in appearance. Quick, easy and inexpensive to install, there’s a huge selection of door furniture designs and finishes on offer to achieve the look you want. Wall art is a fantastic way to make your home come to life. There are lots of styling options, including frames and canvas, prints and paintings, large statement pieces and collages of smaller items. Add a personal touch with your favourite photos. Merge function and fashion with an ornate clock. Clever, strategic placement of mirrors can give a sense of depth by making a room feel larger than it is. The great thing about wall art is you can regularly rearrange it —or change it up altogether — for a completely new look and feel. Oftentimes, a freshen-up is just as effective as a full-blown makeover. 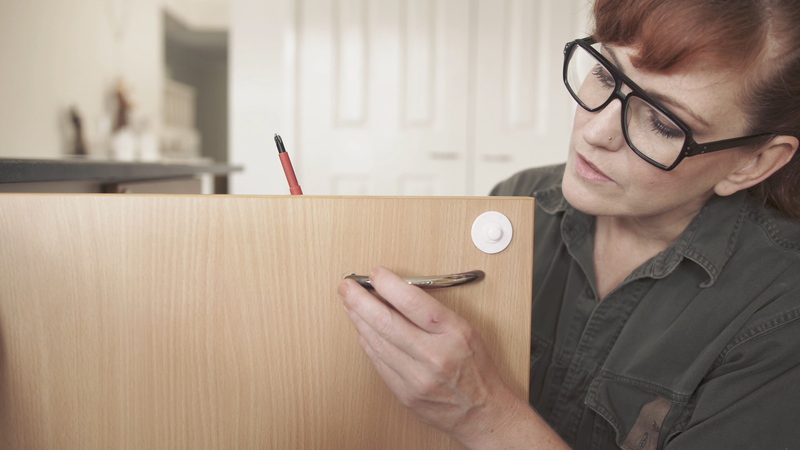 Give kitchen cupboards, bathroom cabinets and linen closets a new lease on life by updating knobs, handles and pulls. It’s a relatively cheap and easy job with results that give maximum impact for minimum spend. A good tip is to choose handles that are the same size as existing ones, that way you don’t have to re-drill cabinets to fit them. Like a car, a home needs regular maintenance and servicing, especially high-use, high-traffic areas. Over time, doors and cupboards can begin to squeak, sag or cease to function properly. It’s usually due to worn or loose old hinges needing replacement. There’s a variety of hinge types available — including a variety of finishes, fixed pin, loose pin and more — to suit all domestic applications. It’s amazing just how much of a difference seemingly minor upgrades done in a weekend can make to any home.